The following information was compiled from records at the Osage County Courthouse March 26 through March 30, 2018. Michael G. O’Bryhim, Katharine F. O’Bryhim, Clifford E. O’Bryhim and Pamela Kaye O’Bryhim to Jon Brady and Joanna Brady. S 3’ Lot 17 & N 18 1/4’ Lot 19, Block 6, Original Overbrook. Lakeview Loan Servicing to HUD. Odd Lots 21-27, Block 1, Edgar & Jenness Addition, Carbondale. NGL Supply Retail LLC to Hicksgas LLC. Tract SW 1/4 6-15-16. Brian Spencer and Angela K. Spencer to Rural Senior Housing LLC. Tract NW 1/4 31-16-16. Chad E. Oswald and Vicky L. Oswald to Rural Senior Housing LLC. 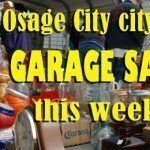 Lots 1-4, Block 5, Original Osage City. Raymond L. Hovestadt and Mary L. Hovestadt to Rural Senior Housing LLC. Tract NW 1/4 15-15-14. Jerry L. Hill and Bunleng Hill to Robert M. Smith III. Tract NW 1/4 23-15-14. Aaron Graversen and Leanne Mersmann to Roger A. Mersmann. Odd Lots 31-35, Block 34, Original Osage City. 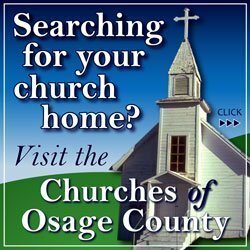 Osage County Sheriff to Secretary of VA. Tract SE 1/4 7-15-15. 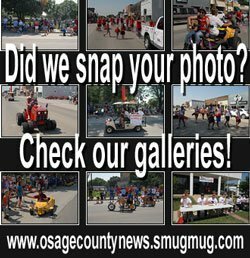 Osage County Sheriff to U.S. Bank. Lots 13-15, Block 2, Mayes 1st Addition, Melvern. Annette L. Price, Harry B. Price, IV, Linda K. Scott and Rick L. Scott to Richard A. Burkdoll and Kathleen L. Burkdoll. Lot 2, Schroeder’s Addition, Osage City. Lewis Ray Tilford to Alva D. Sowers and Donna J. Sowers. SE 1/4 21-14-17.